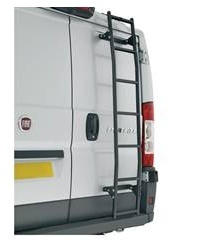 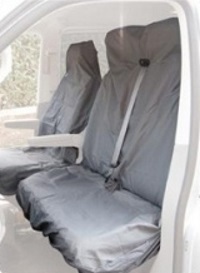 Rhino Van 6 Step Rear Door Ladder. 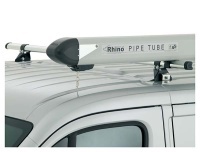 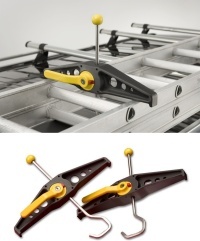 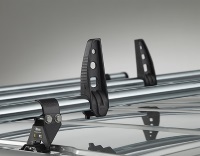 The Rhino Van Ladders are zinc plated, then black powder coated painted for maximum corrosion resistance. 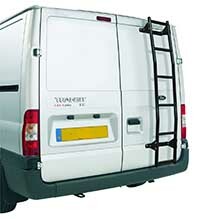 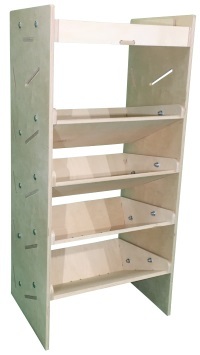 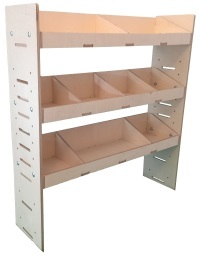 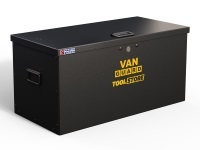 Van rear door mounted ladders feature anti-slip tread plates, and come supplied with all mounting hardware, including internal door reinforcement plates and anti-crush door inserts.